Three Cheers for Radical Libarians! About three stops into my spring 2011 book tour, I learned that I could ask, “Where’s my Radical Reference?” and a corner of the room would invariably erupt into waves and laughter. Yesterday, I was sponsored for a talk at Simmons College in Boston by the student group from the Graduate School of Library and Information Science and the Progressive Librarians Guild. The audience was packed with radical librarians, information warriors, and social justice superstars. To be frank, I was a little nervous. Sometimes folks misread the “access is not the ONLY answer” argument in Digital Dead End as implying that I think that access is not important. I am particularly concerned that librarians not understand it that way, as I have enormous respect for the difficult and crucial work they do to connect citizens and community members to life-critical information and technology resources. So let me be perfectly clear: Access to information and technology resources is crucial to participation in the new economy, the democratic practices of our communities, and emerging digital cultural forms. 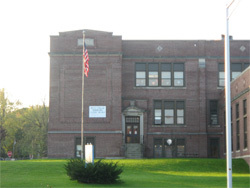 I started my book at the Troy Public Library, and finished it in the West Village branch of the New York Public Library. I count on my local library to fill my insatiable appetite for fiction, my endless need for gardening and home improvement books, even to provide a place to work that’s warm when I can’t quite afford to heat my house. When I am visiting a strange city, I know I can always find the library (it’s usually near city hall, and identified on most tourist maps) for email checking, newspaper scanning, and a place to work that doesn’t require I buy a cup of coffee in order to get the wireless password. Librarians are clearly on the frontlines of technological access struggles in the Unites States. When funding for community technology centers was zeroed out during the GHW Bush administration, it was obvious that providing community technology capacity would fall on public libraries, many of which were already struggling to meet their patrons’ needs. By the middle of the first decade of the 21st century, 98.9% of public libraries were providing free computer access. Since the beginning of the internet revolution in the mid-1990s, visits to public libraries have more than doubled, to 1.2 billion annually (ALA 2005). 32% of Americans over 14 years old regularly use public computers or wireless networks in their local public library (ALA 2011). Imagine my chagrin today, then, when I headed over to the Central Square branch of the Cambridge Public Library to write this blog, and found it CLOSED. All weekend, every weekend. Closed. The writing on the door that said that the library was open from 10-3 on Saturdays was taped over, and the building was dark. Our dear, departed Sycaway Branch. If it comes to funding a library or buying a couple of snowplows, the choice is obvious. I mean, I don’t know how much the library gets used, with the Internet and computers nowadays (Chet Hardin, “Book Stupid,” Metroland v 32 n 2, 2009). Clearly Mirch could use a librarian to help him get his facts straight. Library use has doubled in the last twenty years, Bob. Doubled. Because I’m employed, mobile, and middle class, I’m here at a cafe drinking a $3 tea and typing away. But what about folks in the neighborhood? Weekend trips to the children’s room? A warm and safe place to pass some time if you are homeless or just need to get out of the house? Do I have to say it? Libraries are SO IMPORTANT. Funded by billionaire philanthropists of the 20th century or not, they are democracy in action. I’m still awed when I walk out of a library with a BOOK, that the library has just LOANED me, for FREE. How great is that? 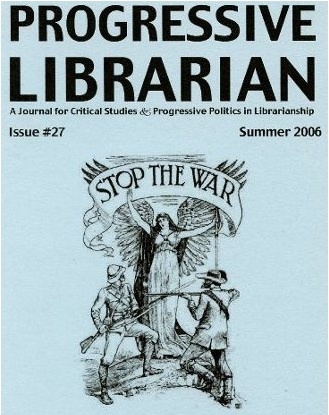 So I want to take a moment to thank the radical librarians, and I think that’s all of you, actually. You’re radical because you work for institutions that provide safe space for community-building of all kinds: book groups, lectures, anime clubs, technology classes, pottery classes, skill shares and trainings. You’re radical because the library is one of the few places in many towns and cities where people actually come together across race, class, and gender. You’re radical because you believe that everyone deserves the resources to educate themselves, to answer their own questions, to learn their own histories, and to speak truth to power. Next Next post: Stop. Frisk. Double-Click.